Fresh out of Cambridge University, the young Mycroft Holmes is already making a name for himself in government, working for the Secretary of State for War. Yet this most British of civil servants has strong ties to the faraway island of Trinidad, the birthplace of his best friend, Cyrus Douglas, a man of African descent, and where his fiancée Georgiana Sutton was raised. 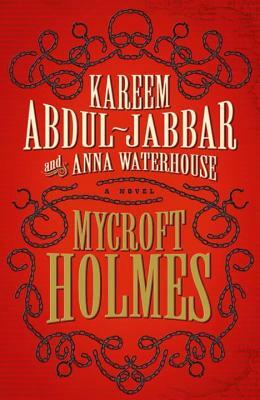 Written by NBA superstar Kareem Abdul- Jabbar and screenwriter Anna Waterhouse, Mycroft Holmes reveals the untold story of Sherlock’s older brother. This harrowing adventure changed his life, and set the stage for the man Mycroft would become: founder of the famous Diogenes Club and the hidden power behind the British government. Kareem Abdul-Jabbar is a huge Holmesian—7’2” tall, basketball’s all-time leading scorer, and a U.S. cultural ambassador. He’s written extensively, including What Color is My World (children’s), Brothers in Arms (military history), and On the Shoulders of Giants (black history). Anna Waterhouse is a professional screenwriter and script consultant.